Product Name: BELOTERO® SOFT w/ Lidocaine. 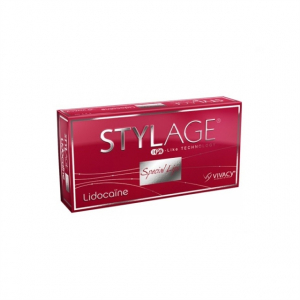 Active Composition: Non-animal origin Cross-linked sodium hyaluronate 20 mg; Lidocainhydrochlorid 3 mg.
Volume & One syringe of 1 ml of gel. Accessory: Package incorporates two 30G1/2” needles. Two tractability labels (One for patient’s record and the other one is given to the doctor). Storage Temperature and Conditions: Store between 2 – 25℃ in a cool and dry place free from sunlight and freezing. BELOTERO® SOFT w/ Lidocaine; a non-permanent, hyaluronic acid based, viscoelastic, colorless, sterile serum contained in a box with syringes for injecting into the skin. 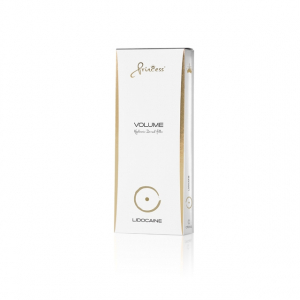 The serum is produced specifically from cross-linked hyaluronate in a phosphate buffer. BELOTERO® SOFT with Lidocaine is inject-able that undergoes resistance to degradation. It is dermal filler that is punctured into the deep tissues of the skin, making it appear glossy. This filler removes all the fines lines on the skin including moderate to deep tissue folding. It is injected on areas like forehead lines, crow’s feet, nasolabial folds, perioral lines etc. 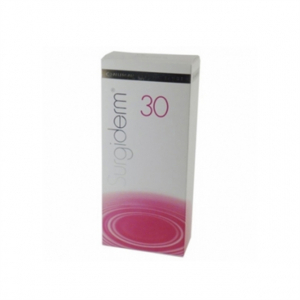 They are made to correct scars and without leaving a difference between treated and untreated area. They have temporary side effects such as bruising, itching, and tenderness, swelling or slight pain. However, these side effects last up to a month depending on skin type and condition. Serial punctual injections, the linear retrotracting technique, anterotracing (push ahead) technique, cross-hatching technique (blanket), fan distribution technique, blanching technique, multi-puncture, and micro-popular injection techniques are used accordingly to inject these fillers in the deep dermis of skin, making it look young and free from any pigments or wrinkles. BELOTERO® SOFT with Lidocaine contains hyaluronic acid derived from non-animal origin. Therefore, it increases the elasticity of the skin by increasing hydration. Only licensed medical professionals can buy BELOTERO® SOFT with Lidocaine from our web store; Meso.pro. This web store is easy to access and simple to place an order. Also, our customer service provider is ready to take orders 24/7 via call or in case of any query regarding this product or website, feel free to contact our host. BELOTERO® SOFT with Lidocaine is a dermal treatment in which skin is injected with dermal fillers as a result of which facial wrinkles are vanished, leaving skin glossy and shiny. It is widely different from other products in terms of technology. Manufacturer, Merz Aesthetics of Germany, has used Dynamic Mesh Technology and has produced a high quality stabilized product for skin care. Another technology namely, CPM – Advanced Cohesive Polydensified Matrix is used in producing these fillers. This leads to giving elastic nature when injected into the skin, giving unique characteristic to this product. BELOTERO SOFT with Lidocaine treatment duration varies depending on the condition of the skin and type also. For deep facial folds, the duration lasts less as compared to moderate facial wrinkles. In general, the patients have to get their skin checked by the doctor, every six months after the treatment. Because only professionals can tell the exact duration criteria based on their experience and qualification. In some cases, permanent side effects were noticed which cause due to allergies with anti-inflammatory agents or antibiotics. Make sure to get your patients tested regarding any sort of allergy before treatment. BELOTERO® SOFT with Lidocaine is sold to medical professional, surgeons, licensed professionals, dermatologists or to clinic and hospitals. People belonging to such fields can come forward and contact us in case of any queries. Place your purchase on Meso.pro and you can take complete benefit from our high quality and superfine products that are going to make your patient come to your clinic twice a year. 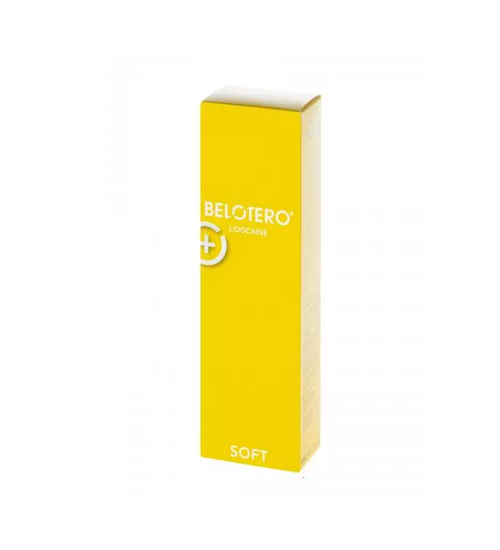 BELOTERO® SOFT with Lidocaine frees your patients from the terrifying process of aging, making their appearance younger by giving them flawless and beautiful skin. * Meso Pro offers only genuine BELOTERO® SOFT with Lidocaine that is manufactured by Merz Aesthetics of Germany. All brands listed here including BELOTERO® are the trademarks of their respective owners. Meso Pro is not operated, supported by or affiliated with Merz.